Yes, ladies and gentlemen, we are halfway through Lent. And to celebrate, I’m making hummus! I don’t mean to brag, but I make amazing hummus. This Mediterranean spread seemed super daunting to make at home until a family friend brought it to the house one day many, many years ago. When he told me how easy it was to make, I decided that I was going to try any make it. 1. Use white beans. They blend up super creamy, which means less oil. 2. Use white vinegar. The flavor is super clean, which adds tang (but doesn’t add any strong flavor). 3. Use hot sauce. Because who doesn’t love spicy food? 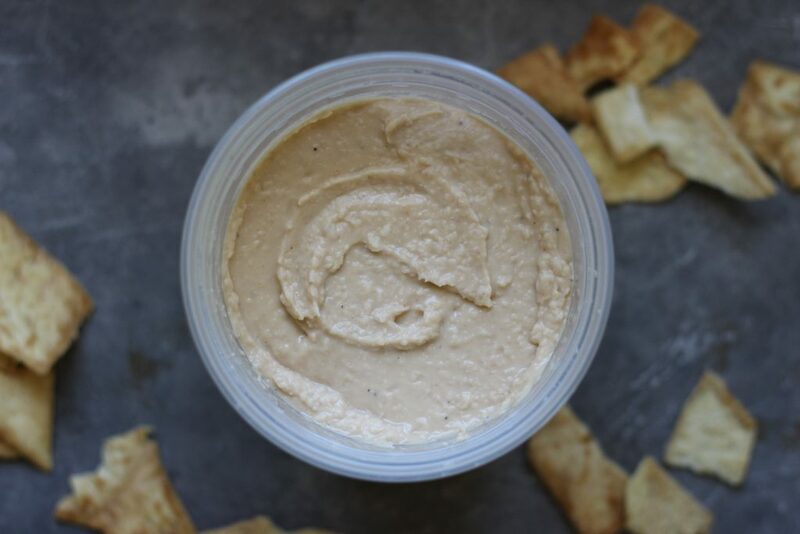 Three simple things that equal amazing hummus at home. And all you need is a food processor. 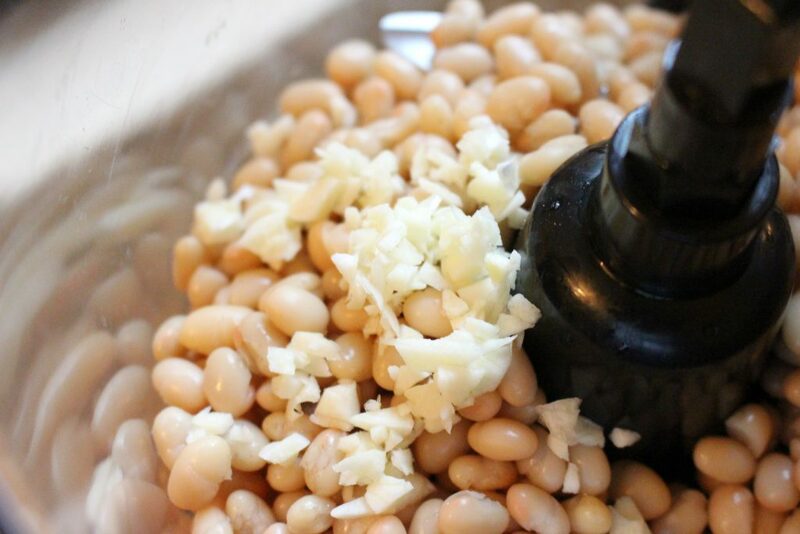 In the bowl of a food processor, add in a can of drained, rinsed white beans. Portion out into a bowl and serve with veggies or pita chips. Definitely a perfect Lenten snack! Simply A (RD) Fact: Beans are a great source of soluble fiber, which is important for heart and digestive health! 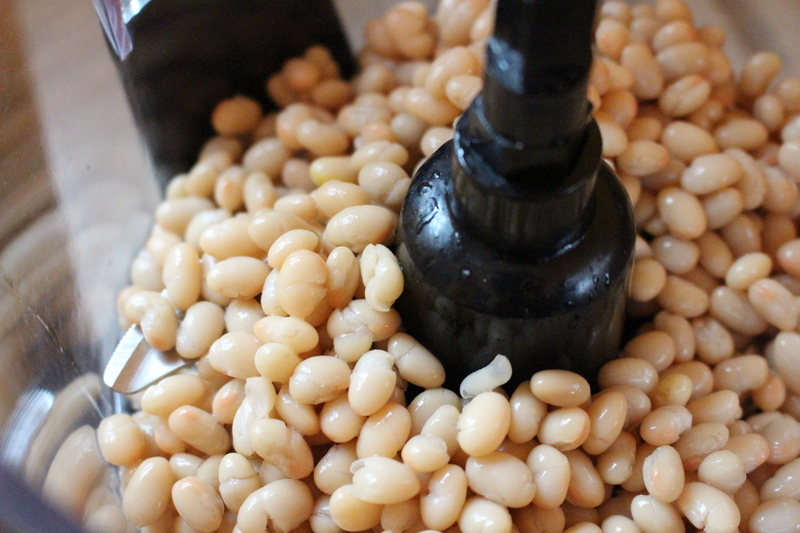 Add rinsed, drained white beans, garlic, vinegar, salt, pepper, and as much hot sauce as your heart desires. Puree – add olive oil until you reach the consistency you desire. Taste and adjust seasoning – add salt, pepper, and extra hot sauce. Serve with pita chips, raw veggies, or use as a spread for sandwiches and wraps!